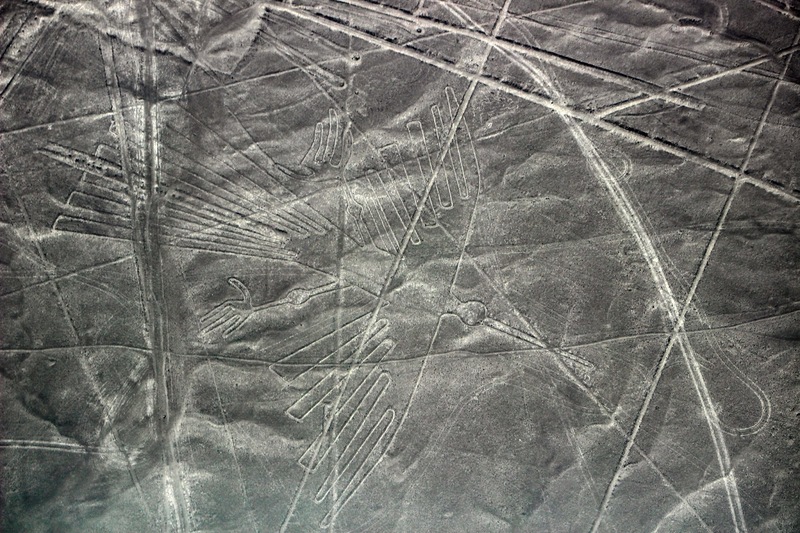 In Nazca Peru, after flying over the mysterious lines in the desert, our guide offered to take us to the ‘Aqueducts’ or Puquois. I admit, I wasn’t really that keen on going – I was imagining Roman aqueducts that I’d seen in the past. Thank goodness I didn’t say it out loud! What a special place! 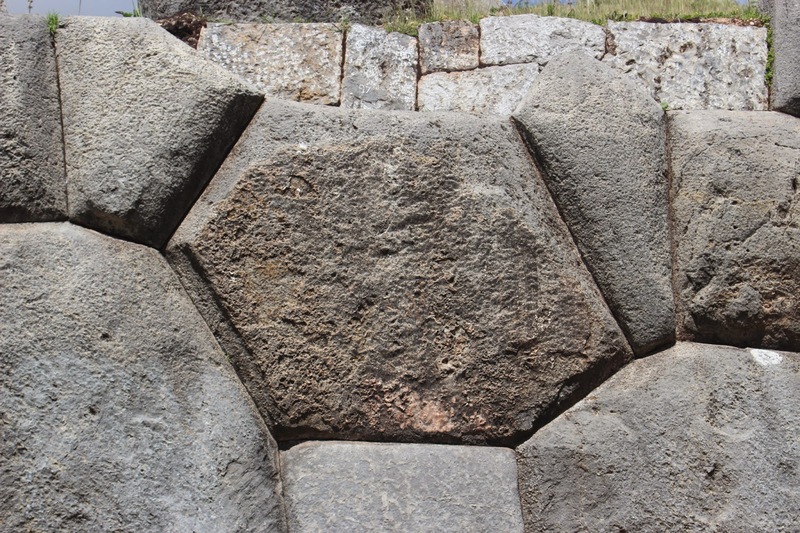 Large spirals were dug into the earth with walls created from small stones. One could walk the path down the spiral to the crystal clear source of water. 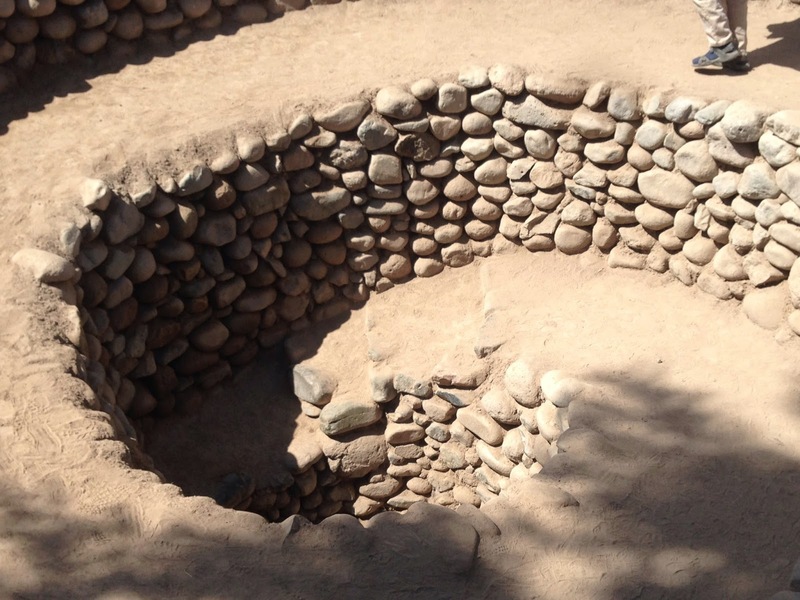 These beautiful yet utilitarian structures were created by the Nazca people over 2000 years ago as a system to irrigate the arid land. There are around 36 with most still in use by local farmers. For a spiral lover like myself, an artist who uses the spiral as inspiration and as a symbol of renewal and regeneration – this was truly a blessing. 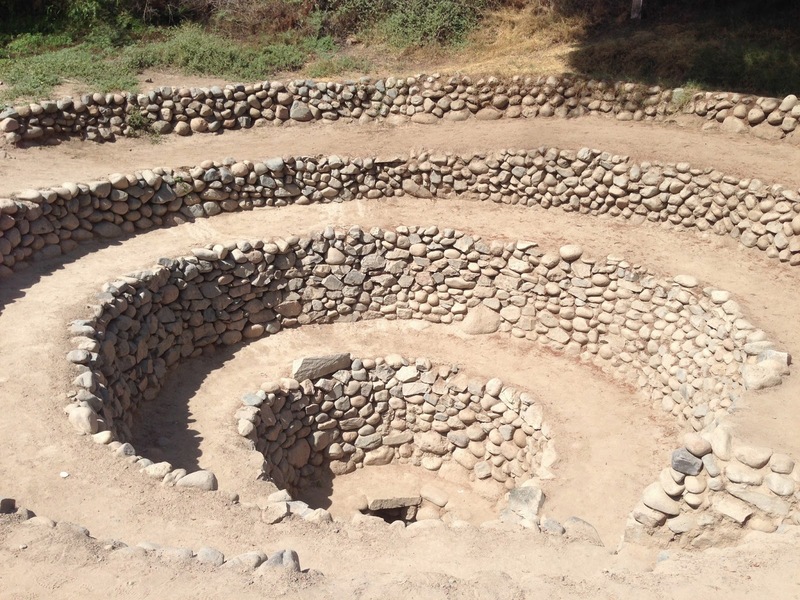 I felt connected with those who lovingly built these earthen spirals. 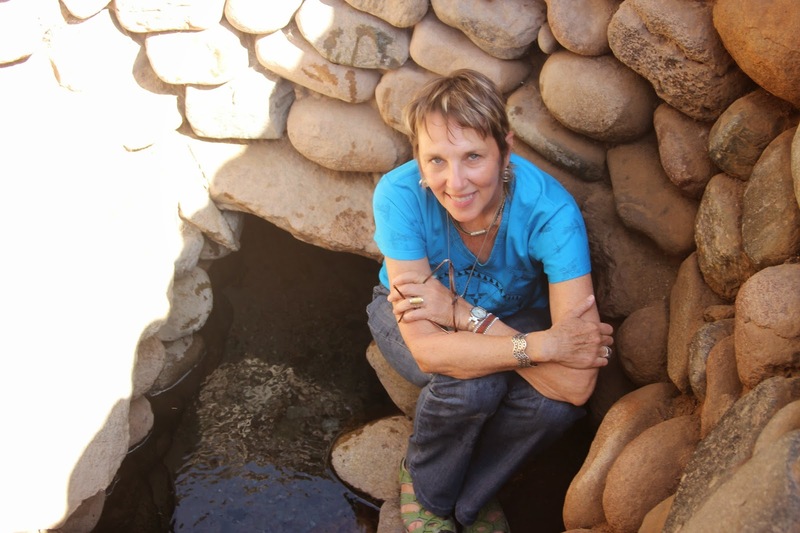 I took a sip of the spring-fed water and felt I was back in the womb of mother earth. 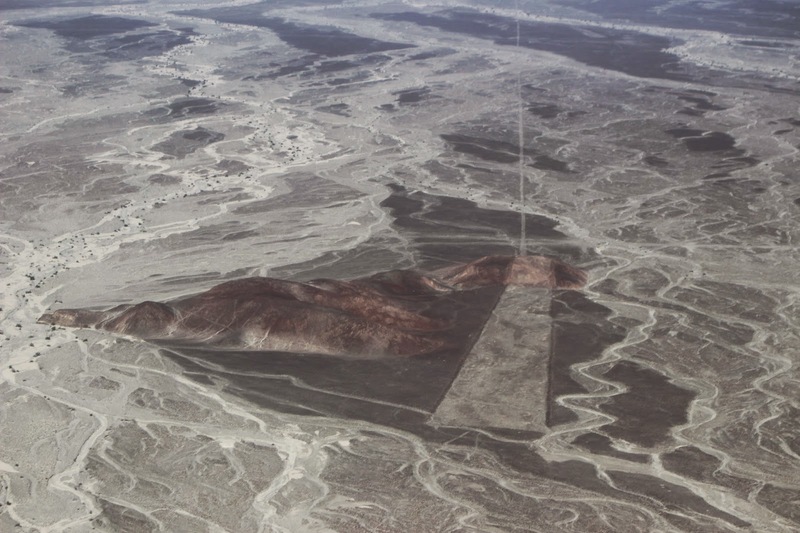 These ancient earthworks brought to mind artist Robert Smithson’s ‘Spiral Getty’ in Great Salt Lake, Utah from the 1970’s. I wonder if he knew of those that came before him…. 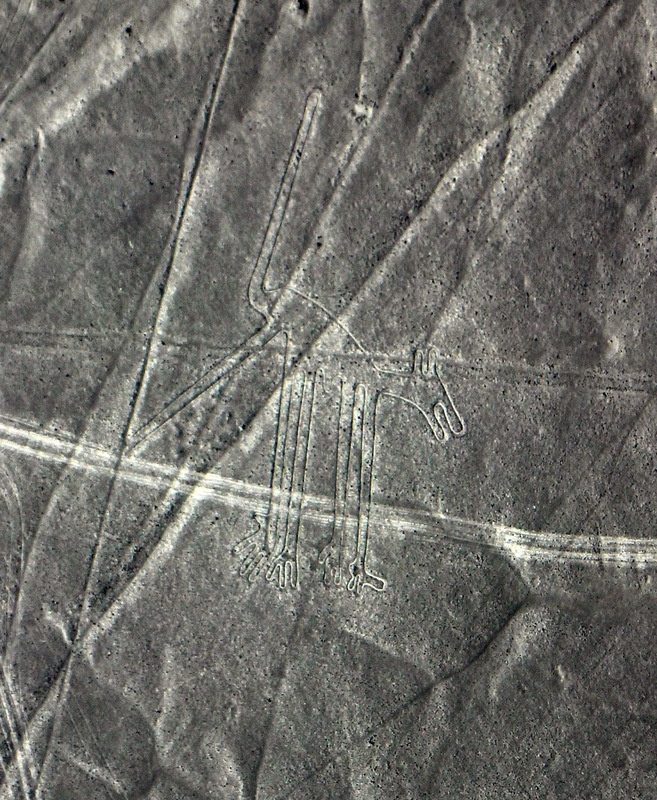 On May 14, 2015, I flew over the Nazca Lines in a small Cessna. We were picked up at our hotel in Lima, taxied to the bus station where we had a 7hr bus ride, taken to a hotel for the night, then picked up the next morning for our mystery flight. Yes, it was a long haul to get there – but well worth it. 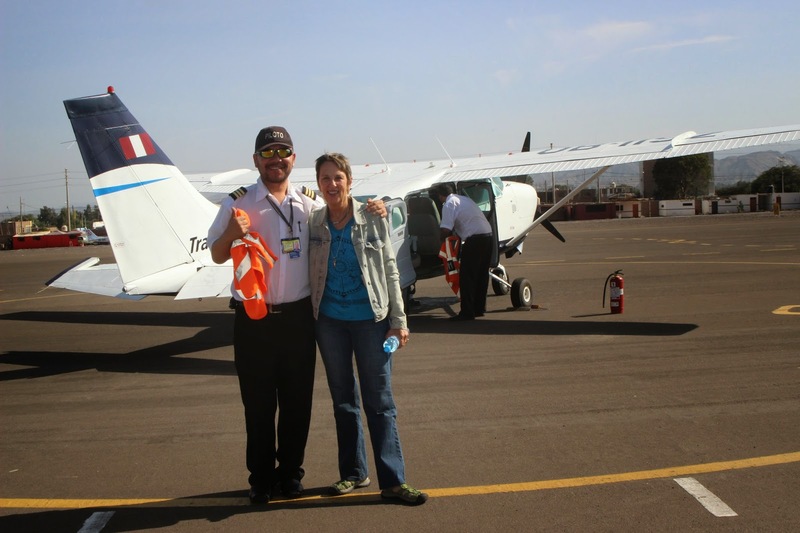 I would highly recommend Great Nazca Tours for their excellent care of us. 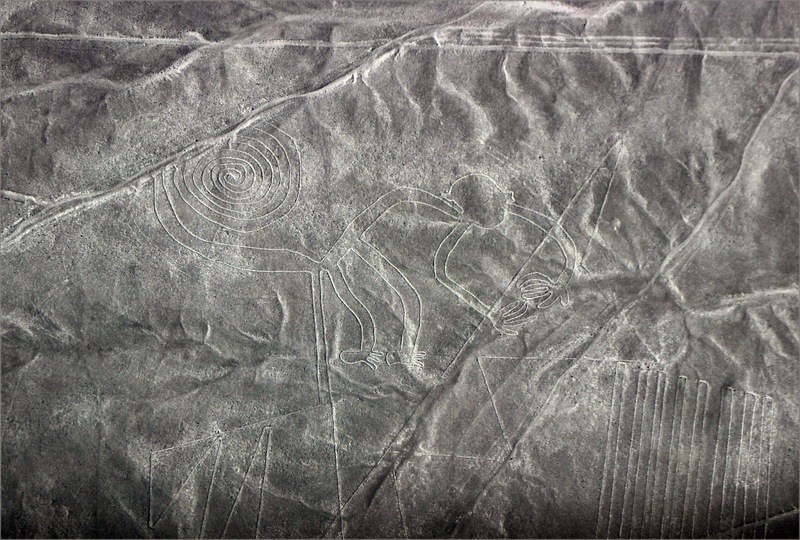 What a thrill to fly over this barren landscape and view these mysterious drawings of animals and linear designs. 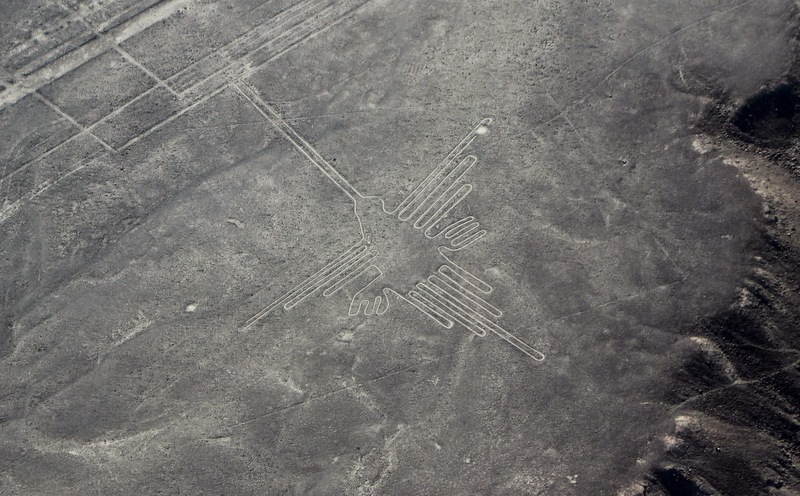 We saw the hummingbird, parrot, dog, hands, heron, astronaut, and tree layed out in a black and white desert – very eerie. 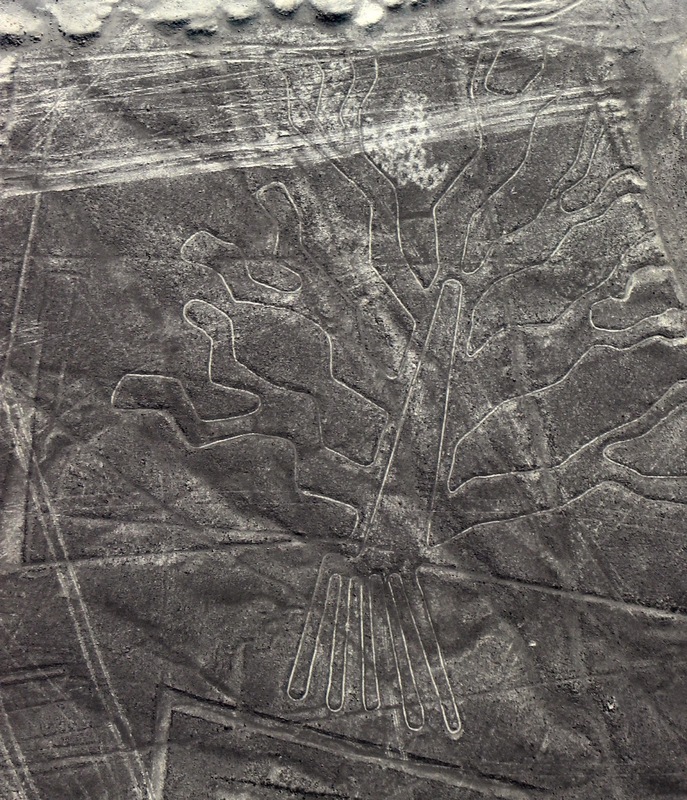 The drawings – from 50 to 1200 feet in length – were created by scraping away the top layer of the earth to reveal a white sandy loam. There is also an amazing spread of intersecting geometric lines and trapezoids. They were created over 2000 years ago – but by whom and for what purpose? That’s the big question. 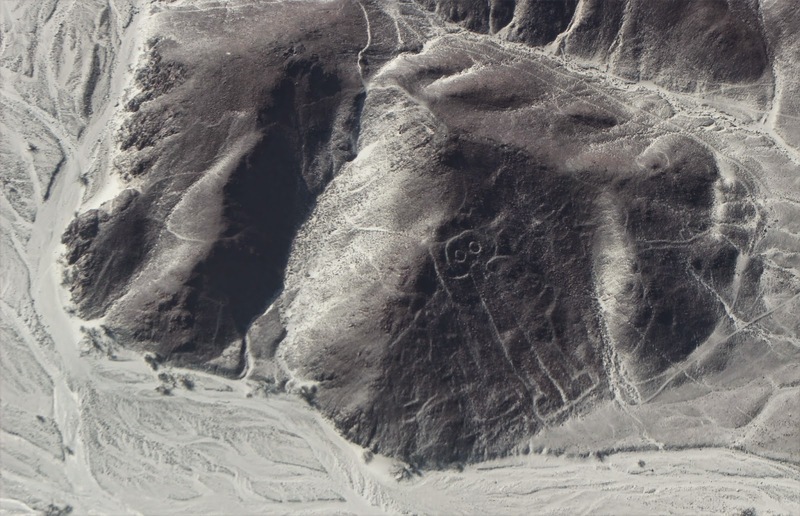 There are many theories – were they astronomical calendars, images pointing to water in the desert, or ritual/ceremonial? 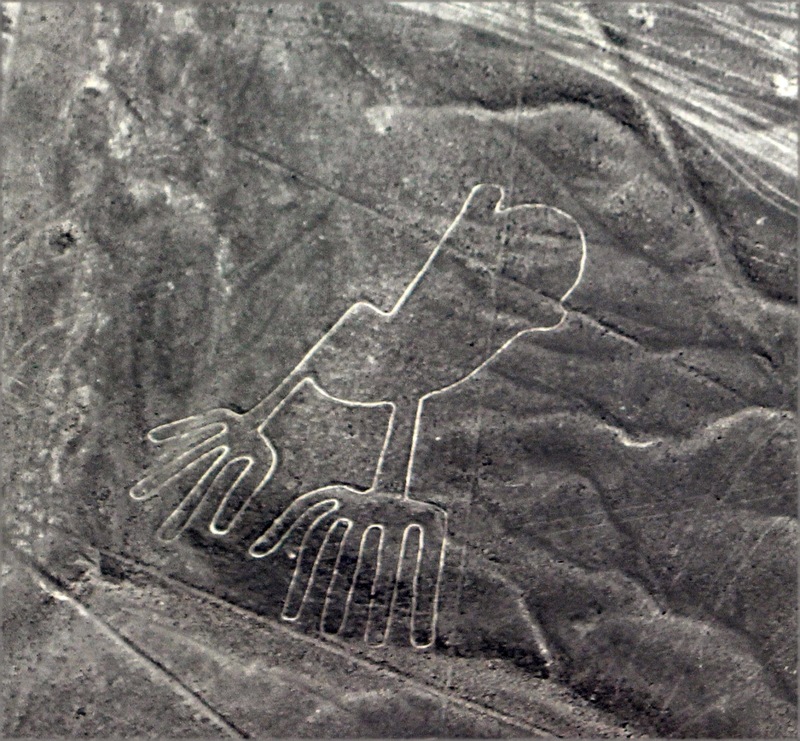 Since they can’t be seen as complete images from the ground – (just like crop circles) – seems to me they could have had some help – shamans or extraterrestrials??? Check out the astronaut image….. 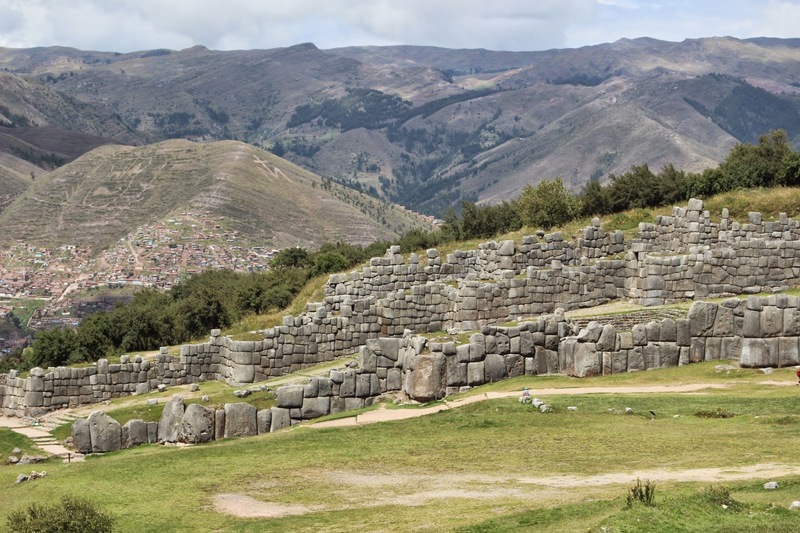 In the hills above Cusco, lies one of the most impressive archeological sites we visited in Peru – Saqsaywaman. We took a taxi up to the site one afternoon and were lucky to find very few tourists around. 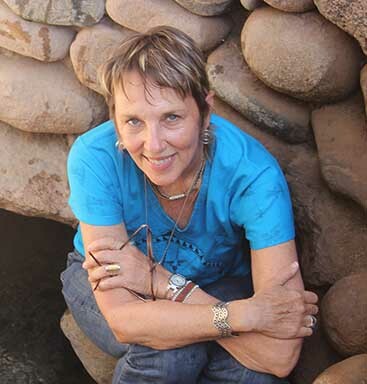 I had read about a labyrinth of caves on the backside – and upon entering the site, just across from the entrance, we found them right away. 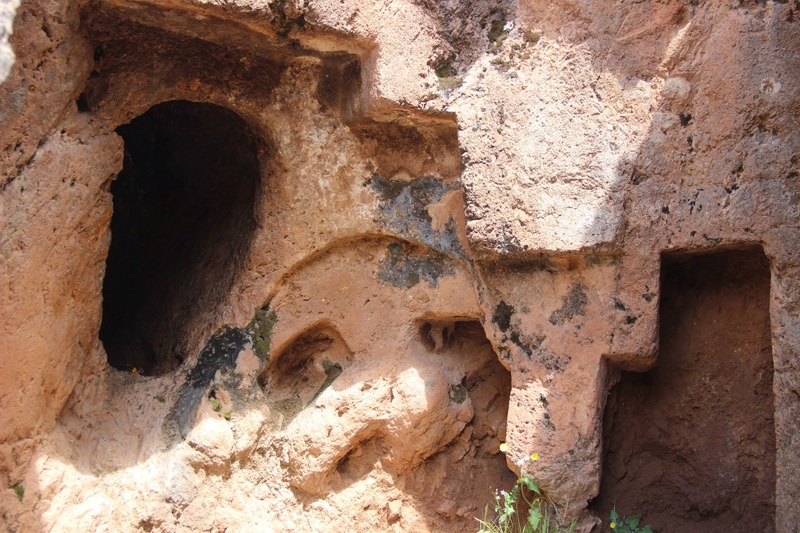 We winded our way through a few tunnels, and discovered niches carved out of the rock in keyhole patterns and possibly the Inca cross. After perusing the entire site, we came back to this spot, found a special cave, and made an offering of wildflowers and coca leaves to Pachamama, Mother Earth. 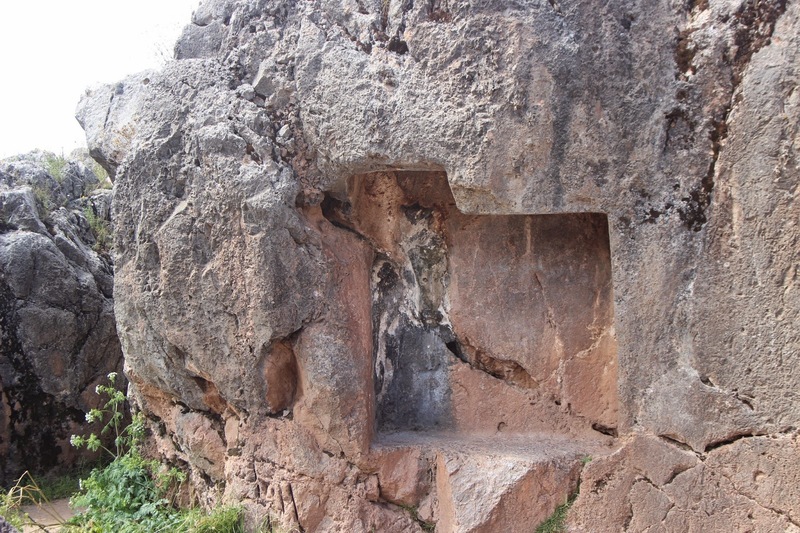 Some of the caves and niches carved into the rock. 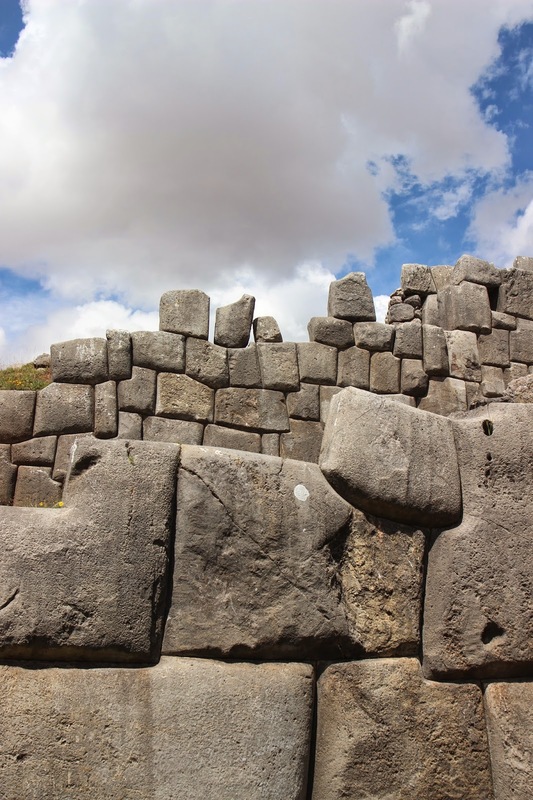 The impressive thing about this site is the enourmous boulders forming a zig-zag wall.The gigantic cut stones fit together like a puzzle with no mortar. – sometimes 8 sided with beveled edges. The largest weighing 70 tons! 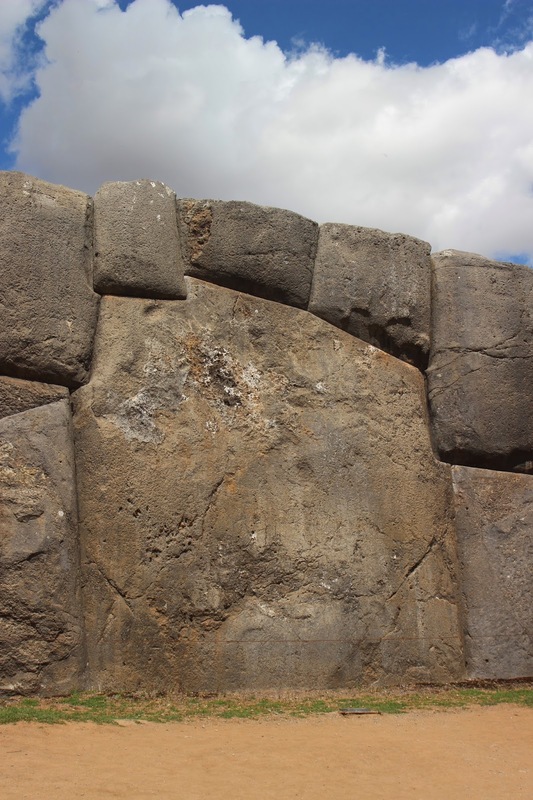 Could humans really have moved such massive stones? Or was there help from shamans or extraterrestrials? In the Quechua language, waman means falcon. 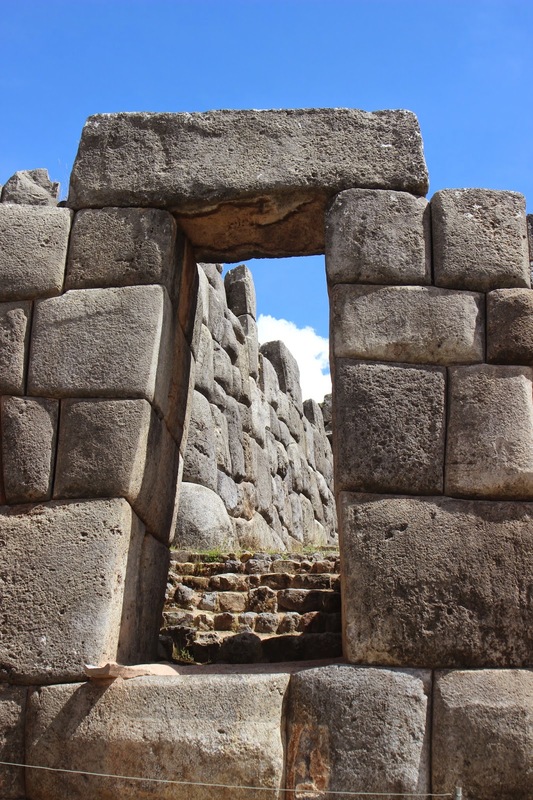 The Incas referred to Saqsaywaman as the House of the Sun – clearly a spiritual site. The structure dates to 1100CE with previous occupation dating to 900. 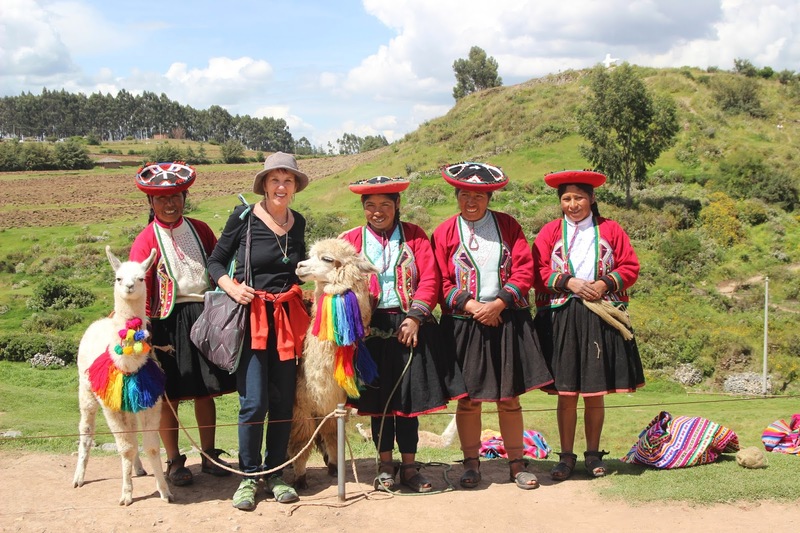 Visiting with some of the Quechua Women around Saqsaywaman.